About a week ago, longtime Star Wars actor Mark Hamill posted a couple of photos on Twitter with him and a lot of his fans giving him a warm welcome at San Diego Comic Con. “You CAN go home again-Great 2 be welcomed home 2 my old neighborhood by the best fans EVER!” the tweet read. He also thanked The City of San Diego and Councilman Chris Cate, tagging them both in the tweet. In one photo, he was standing on a stage above the excited fans, smiling and raising his hands in the air. These fans are also raising their hands in the air and many are taking photos with their phones. In the second photo, we see him standing on the ground alongside the fans. The fans are still taking photos and he’s even taking a selfie with one of them. In the last photo, he’s back on the stage standing beside Cate and another woman. We also see Hamill proudly holding a plaque above his head in the photo. Hamill’s tweet currently has a total of 515 retweets, 3,368 likes and 118 replies as of the writing of this article. So I guess SDCC isn’t the only place he has a lot of supportive fans. The tweet also got several nice replies such as “We love you @HamillHimself it was such an honor to be in your presence on Sunday. Wow!” from Julia Brozo. He got a lot of nice replies such as one fan congratulating him for his award. Another fan thanked Hamill for answering his question at the event. 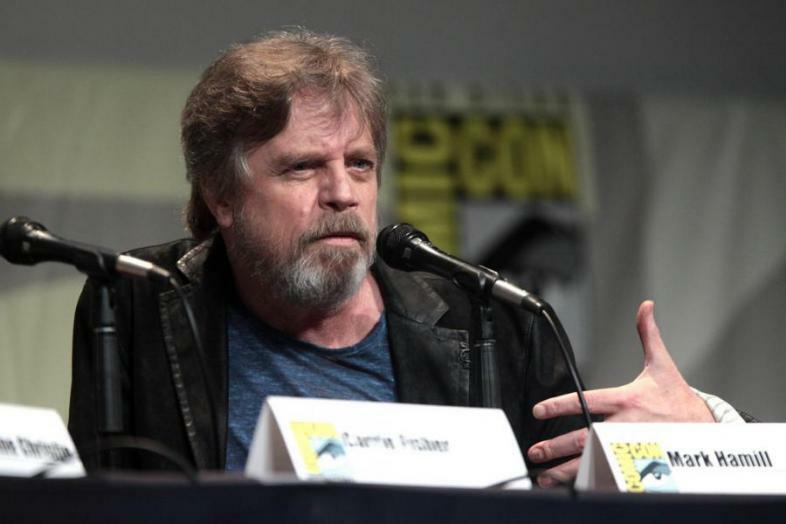 Hamill had a brief appearance at the end of 2015’s Star Wars: The Force Awakens. He’ll likely have a much larger role in the upcoming The Last Jedi, which will probably feature him training Rey (Daisy Ridley) in fighting.